These are made from quality thick glass. They measure 3.5cm in height 8.5cm across. They are an ideal gift for everyday use or as a decorative item. 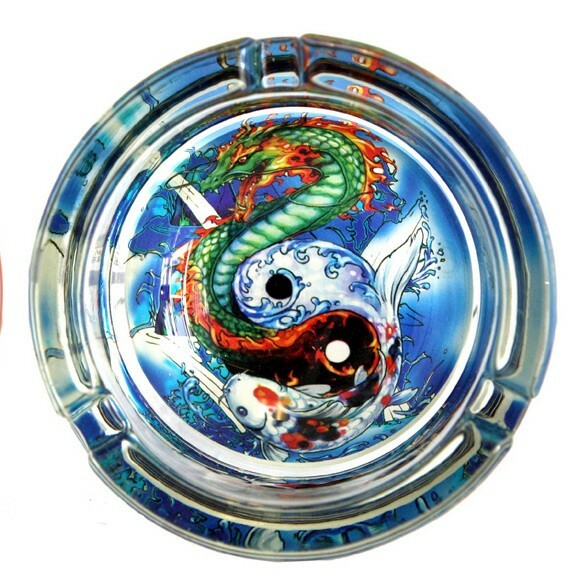 This intertwined Dragon and Koi Ashtray is reminiscent of and old school tattoo. Guaranteed to get your friends to stop and take a second look when they are ashing their cigarette.